AMD Next Generation Desktop strengthened by 9 Series Chipset ~ " World Information "
Jakarta - AMD launched its 9-series chipset that help fabricators PC platform makes the new generation of high-performance desktop. AMD also released the Tablet Platform HD 2011, AMD-based Accelerated Processing Unit (APU) Z-series, which allows the display sharp and media content creation capabilities for tablet Microsoft Windows. "Consumers want an increase in visual experience that is more alive, more interesting, and there is a greater need to be high performance, seamless, life graphics and unparalleled computing power," claims John Taylor, Product Marketing Director of AMD. 9-series chipset provides the foundation to open a desktop experience with AMD. 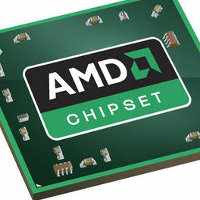 The chipset is a key component of "Scorpius", next-generation desktop platform from AMD, which will also feature eight-core processor "Zambezi" and AMD's Radeon HD6000 graphics card series to experience HD entertainment and gaming, extreme multitasking, tweaking, and overclocking. 9-series chipset is the first chipset that supports AMD socket AM3 + processor and incorporates compatibility with the AM3 socket before. This board enables fast performance with support for AMD's CrossFireX technology, which allows up to four GPUs with AMD's Radeon proceed. Additionally, this chipset supports the management of clock rate via AMD OverDrive software. Range 9-series chipsets have up to six hard drives 3.0 6 Gbps SATA interface port, Gigabit Ethernet, HyperTransport 3.0 technology and PCI Express ® Generation 2.0 for extreme computing experience at work and play. Range 9-series chipsets will be available from various manufacturers of devices, including ASRock, ASUS, Biostar, ECS, Foxconn Technology Gigabyte Technology, Jetway, and MSI. Until 2015, Gartner predicts the tablet market could exceed $ 200 million and, as a large and stable market, AMD will continue to expand the options of APU, providing a separate level for the computer graphics tablet and all other forms of mobile devices. In addition to deep integration with operating systems like Windows, the platform tablets AMD HD 2011 offers support for HTML 5, Adobe Flash 10.2 and an external monitor, which allows stunning graphics for gaming, video streaming and other entertainment.